Olive Films has graciously provided us with four (4) copies of Beach Blanket Bingo on Blu-ray and we are offering four of our readers the chance to win one copy each. In his review, our very own Lawrence Devoe said “Beach Blanket Bingo is another high-speed, high-octane cinematic exercise for teens and young adults alike.” See below for details on how to enter. 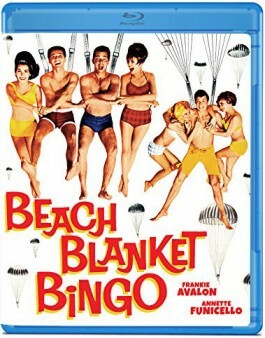 One (1) of four (4) copies of Beach Blanket Bingo on Blu-ray Disc from Olive Films.